HMS Eagle in what was very close to her 1945 configuration in 1954. With the Fleet Air Arm back in Royal Navy control, the Admiralty could seriously consider dramatically expanding its numbers – and its carrier force. The early years of the war in Europe and the Mediterranean had revealed the overwhelming effectiveness of carrier air power. But limited air groups were proving a problem. The Illustrious design had already undergone two evolutions: First, the dual-hangar Indomitable, and then the further refined Implacable class. These were of some success. But, in the case of the Implacables, the error of limiting hangars to 14ft became apparent during their protracted construction. In 1940 war losses and the freshly obvious importance of carriers saw consideration of a repeat order for two more of the Implacable class. Improved flight deck armour: It was evident aircraft were now regularly hefting bombs greatly in excess of the 500lbs the 3in on Illustrious was optimised to resist. The sides of the ‘armoured box’ containing the hangar would remain at 1.5in “splinter protection” levels. Increased aircraft capacity: Numbers carried had to be sufficient to sustain effective, all-day carrier air patrols. This was judged to be at least 64 machines. Improved aircraft operability: Bigger lifts, more crew, more stores, more ammunition, more spares needed to be carried to accommodate deployments of more than a few days. Increased flight deck size: The bigger the flight deck, the more aircraft could be crowded on it for flying-off operations. This meant a bigger strike could get airborne, faster. The problem was time. New ships were needed fast. To enables the keels to be laid fast, the basic hull-form of Implacable would be retained. Drawings were urgently submitted in November 1941 for a 27,000 ton ship with an even further enlarged forward lift of 45ft by 33ft. Tweaks to the specifications allowed the hangars to accommodate four rows of aircraft (for a total of 54 machines) instead of the existing three. It was feared the tonnage and hull limitation meant the new design would retain Implacable’s 14ft hangars, though it was discovered some extra height could be recovered through reducing the depth of structural beams. On November 30, 1941, the Irresistible programme was cancelled. 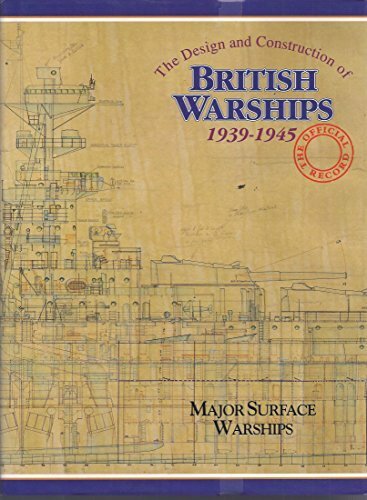 Wartime shortages of materials (in particular armour) and a change of priorities (towards constructing anti-submarine sloops and frigates) had already resulted in delays in the construction of the two ships of the Implacable class. Further war experience had dictated the need for much greater redesign than a simple revision of the Implacable form. It was decided to start a new design from scratch. Survivability once again had become an imperative. HMS Illustrious had – as intended – proved remarkably resilient against the pounding she had taken from Stukas off Malta. But experience also revealed deficiencies in the base assumptions of her pre-war design. 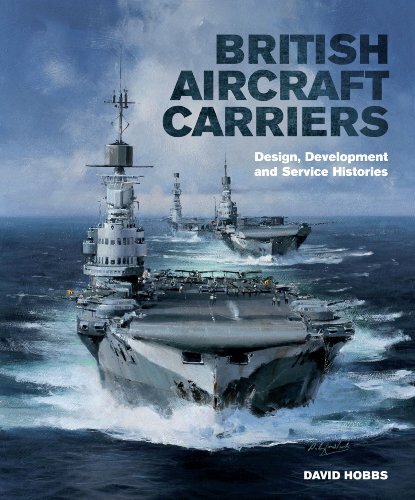 In particular, the loss of Ark Royal had demonstrated the need to improve the carrier’s underwater characteristics – both in terms of protection and machinery arrangements. It was also obvious, as design and construction work progressed on the Barracuda, that previous assumptions about growth in aircraft sizes, heights and weights had been seriously under-estimated. Improved reserve and diesel electric power supplies. Increased beam to maintain stability, involving a change to hull-form. Larger lifts, each serving both hangars. Separate funnel uptakes and intakes to each boiler room. Design work for what was essentially a completely new class of ship extended into 1942. Requirements were for a ship capable of operating aircraft of 30,000lb instead of the 11,000lb as specified for Illustrious. This meant a cascade of changes – from catapult strengths and arrester gear equipment to lift machinery and hangar size. Implacable’s low hangars was also by now realised to be an almost disastrous mistake. The outcome was the Audacious class. The proposal accepted was for a 790ft long ship with a beam of 112ft 8.5in on the waterline, displacing 32,500 tons in standard condition. Three ships were ordered to this new design in 1942: Ark Royal, Audacious and Eagle. An additional unnamed vessel was ordered in 1943. Eventually, only Ark Royal and Audacious (renamed Eagle) would be completed. Constant ‘tinkering’ and alterations with the design during construction would end up producing a 36,970 ton (standard) displacement vessel of 803ft 9in overall, with an extreme breadth of 135ft and a mean draught of 32ft 9in. When laid down in 1942, the Audacious class was the largest aircraft carrier in the world. Audacious (later renamed Eagle) was laid down on October 24, 1942. Ark Royal (originally named Irresistible) was laid down on May 3, 1943. The ship initially named Eagle was laid down on December 23, 1943. She would be cancelled on December 21, 1945. The order for the fourth ship, Job Number J1722, was changed to a unit of the larger Malta (Gibraltar) class. She was never laid down. Servicing the flight deck were two cranes of 25,000lb load. These would be upgraded before the ships were completed. Stability yet again reared its ugly head when it came to determining hangar heights. The carrier’s metacentric height was not permitted to exceed 4-6ft. A clear space of 17ft 6in was considered necessary. For a time weight, again, looked as though it would prevent the hangars from being raised. But the extra space was found through reducing the depth of the flight deck and hangar deck structural beams by 6in. An inquiry into the proposal found that experience in the earlier Illustrious builds had proven this reduction could be accepted without serious implications for structural strength or stiffness. However, despite the weight savings, it was eventually found necessary to increase the Audacious class beam by 4ft to a total of 112ft 8.5in and hull depth by an extra 6ft to compensate for extra top weight. This, in turn, allowed the original hangar width of 62ft to be increased to 67ft. The 1946 legend provided an upper hangar of 364ft by 67ft with a clearance of 17ft 6in with a clear area of 24,390sq ft.
An extension to the upper hangar added an extra 52ft by 64ft, with the same 17ft 6in height (though, between beams, this extended to 20ft 3in). This was to be an aircraft workshop, where an aircraft could undergo heavy maintenance or repairs without interfering with the pulse of normal air operations in the main hangar. It had improved ventilation to allow engine testing. Click on the above image to be taken to the artist's web page. The cut-away shows Ark Royal, which was somewhat more modified over the 1945 design than her sister Eagle. But the basic configuration remains the same - and the hangar arrangement is clearly evident. The lower hangar is somewhat more confusing: Some accounts describe it as being of essentially the same dimensions, although structural considerations reduced the clear area to a useable 23,760 sq ft. Other accounts simply list the space as 172ft x 54ft with the same 17ft 6in height, though this does not appear to conform with plan and cutaway drawings which show it extending between the front and aft lifts. It may, in fact, be a confusion with the earlier Irresistable version of the design. Both the upper and lower hangar was divided into three sections by fire curtains, as with earlier designs. Audacious’ hangars were offset from the centreline to port. This was a result of the loss of Ark Royal in 1941: Keeping the engine space trunking to the funnel as high as possible would reduce the chance of water rushing deep into the ship if damaged. hangar sides in order to allow about 18 aircraft to warm up their engines while waiting to be lifted to the flight deck for launch. But the size and shape of the Audacious class carrier lifts once again highlighted the problems first realised with Illustrious. They were outside the armoured portion of the flight deck. They were themselves unprotected. Each lift-well represented a sizeable ‘hole’ in the ship’s superstructure and inevitably represented a ‘weak point’ – particularly in regards to under water explosions. But their size was to grow even further over that proposed for the initial Irresistible design. Ark Royal undergoes builder's trials in 1954. A design review in 1943 resulted in the Audacious class being given two lifts of 54ft length. The forward lift was again wider at 44ft, while the aft lift was restricted to 33ft because of adjacent ammunition hoists. As with the earlier Illustrious class, armoured doors were put at the entrance to each hangar from the lift wells in an effort to protect – and contain – their highly inflammable contents. In this case, however, the doors were hydraulically operated. Opening (and closing) times were about 3 seconds. While designed to be capable of 40,000lb loads, the lifts were initially only balanced for 35,000lb as the heavier aircraft as were seen as being some time off. Unlike earlier ships, both lifts serviced both hangars. It took 18.3 seconds to lift a load from the bottom hangar to the flight deck. A hoist from the upper hangar took 11.5 seconds. From the air, both lifts could be seen to be a little off-centre. This reflected the positioning of the hangars below to keep space clear starboard for the funnel trunkwork. In late 1942, a new requirement was drawn up for the Audacious class’ arrester and crash-barrier gear. Both were expected to receive aircraft of 30,000lb at 75kts, or 20,000lb at 91kts, imposing a maximum deceleration of 2g. Eight arrester wires and three crash barriers were specified. By 1945, revisions called for four crash barriers amidships and a total of sixteen arrester wires. The Mark 10 arresters were fitted in pairs in eight units. Their maximum pull-out was 172ft. The crash-barriers were also doubled-up: Six units attached to three mechanisms. Supporting the crash barriers and arresters were two aircraft cranes capable of 25,000lb within 27ft or 14,000lb at 41ft. There was one mobile 20,000lb crane, two 15,000lb fork-lift tractors, as well as eight other tractors of varying types. Initial plans to provide two upgraded twin-track trolley-style accelerators were abandoned in 1943 in favour of solely using the US strop-based two-point, tail-down technique. It was specified that a 30,000lb aircraft should be able to be propelled into the air at a speed of 75 knots. A 14,000lb plane could be catapulted at 85kts. Such a significant increase in performance needed larger machinery – and was another consideration in the significantly increased size of the Audacious class. Two 140ft 9in BH5 catapults were fitted. The rated re-launch rate was one aircraft every 40 seconds. While the Indomitable class represented a fall in the percentage of weight given to armour (15 per cent), the Audacious class represented an increase to 20 per cent. The 4in deck ‘cap’ to the armoured box of Audacious’ hangar was seen as the new minimum to provide effective protection from air-delivered bombs. The structural steel around the lifts would again be rated as though it was 1.5in armour. The hangar sides, however, would not return to the heavy 4.5in belt-style armour as seen in Illustrious. Instead it would remain at 1.5in – offering splinter protection to the vulnerable aircraft within. The armoured bulkheads and doors at the entrance to the lifts, while of upgraded design, also remained the 4.5in of the earlier ships. On the hangar floor was 2.5in armour plate, tapering to 1.5in. The traditional armoured citadel was designed to integrate with the protected hangar. It provided a 4.5in belt (with a 2.5in ‘roof’ outside the area covered by the hangar) to protect the magazines and machinery. Vital compartments outside the citadel were put in armour ‘boxes’. The steering gear, for example, was placed within 4in armour caps and2in-4.5in sides. Boiler intake and uptakes, diesel generators, hangar lobbies, bomb lifts and electric cable trunks were also armoured. The Audacious class’ underwater protection arrangements were entirely new. Based on war experience and full-scale explosives trials, the intention was to provide protection against warhead charges of 2000lb. The result was a much beamier ship than those that came before. The weak point, as with all ships, proved to be the ship’s ends where the hull tapered. Here subdivision remained the only defence. While an under-hull protection system for magnetic mines and deep-running torpedoes had not yet been devised, the new carrier was given a 1in thick inner bottom connected to transverse and longitudinal bulkheads to limit the extent of flooding. The Royal Navy’s characteristic concern for the flammable and explosive characteristics of aviation fuel was again evident. Considerable space was sacrificed in order to keep this fuel safe. Audacious kept its avgas in three sets of cylindrical tanks, each sat inside flooded compartments. This was intended to keep the fuel cylinders safe from shock and whiplash, as well as eliminating the possibility of any volatile gas build-up. Audacious class aircraft carrier HMS EAGLE underway off Southsea. The main defensive armament of eight twin 4.5in guns was arranged in a similar four-corners ‘pillbox’ fashion to that of the original Illustrious design. The wider hull of Audacious, however, removed the ‘gully’ effect these gun sponson’s had on the flight deck space. Aircraft could now be ranged on either side of the aft lift between X and Y 4.5in batteries. Like Implacable, the turrets were flush with the flight deck to assist instead of impede aircraft operations. Loss of the ability to fire over the deck was considered acceptable. The turrets themselves had also undergone a considerable revision. Their internal arrangements had been refined to allow more efficient operation. They were also capable of remaining functional up to 20 degrees of heel. Some 6600 rounds of 4.5in ammunition were carried split between fore and aft magazines. Chain hoists could deliver 30 rounds per minute to the gun bay. Fire control system was also improved: It was a grafting of the US Navy’s Mark 37 director with a modified Royal Navy Type 275 radar set. The iconic Pom-Pom would not make an appearance. Instead, Eagle would complete with eight six-barrelled 40mm Bofors mounts in their place. These would have their own CRBF director. A further two twin and nine single 40mm mounts rounded out the close-range armament. In late 1942, a design modification was made to allow the bomb lifts to carry 2000lb armour piercing bombs and the scale of the magazines holding such munitions increased. The original standard weapons capacity was to be based on supporting an air wing of 42 torpedo bombers and 18 fighters. By 1943 this had also been revised. 1945 design capacity was for nine reloads for 36 strike aircraft (one load being equal to one 2000lb bomb, two 1000lb bombs or four 500lb bombs). Gun ammunition was calculated on the basis of completely re-arming 75 fighters 10 times each with an average 640 rounds per aircraft. There was torpedo racks capable of stowing 60 18in weapons, though the clamps could take devices up to 30in diameter. The island of the Audacious class was distinctly large. This was both to accommodate the funnel uptakes from the widely separated forward and aft engine spaces, as well as to provide space for extensive command and control equipment. It’s main feature would be a multi-level operations room. This command centre featured a mezzanine space which housed the officers who could look down on the aircraft direction room with large boards on which the tactical situation was recorded. The island, however, would once again have only limited anti-splinter protection due to the need to minimise top weight. In late 1942 the design was adapted to incorporate two fixed masts, as well as provide suitable space for modern communication and radar operation rooms. But the changing – and increasing – demands of radar would continue to shape the carriers even after they were completed. Click on the above image to be taken to the original artist's web site. The cutaway shows HMS Ark Royal, completed to a more modified design than Eagle. The flight deck arrangement had been adapted to accommodate an angled flight deck and a side lift. Its underlying arrangement is still evident, however. To reduce the effect of a torpedo hit among the vulnerable rudder and propeller spaces, the designers separated the shafts as much as possible and each of the twin rudders had its own separate steering machinery contained within individual watertight compartments. The propulsion machinery was also separated into two distinct units of boilers and machinery rooms, one positioned as far forward as possible (driving the outer shafts) and the other unit much further back (for the inner shafts). Between them were feed tanks, auxiliary equipment and stores rooms. It was hoped this greater division would significantly reduce the ship’s chance of losing propulsion to battle damage. All up, the engines were intended to 152,000ship. In its final design specification, the Audacious class was to have a top speed of 31.5kts (29.5kts six months out of dock in tropical waters). But growth during construction reduced this to 30.5kts. Endurance was to be 5000 miles at 24 knots, based on an oil fuel load of 6510 tons, or 7000nm at 14 knots. Trials revealed Eagle could obtain 3.053kts at 44,250 tons displacement under 156,630shp. This would produce a maximum speed of 29.6kts under a deep load of 49,950 tons. Endurance was 4500 miles at 24kts in six months out of dock condition. Under helm, turn trials revealed Eagle was easy to handle with a tactical diameter at 30kts and 35 degrees rudder of 847 yards with a 5.3 degree heel. At 15kts this was 802 yards. Average turn rate (in a steady turn) was 1.4 degrees per second. Feelings about the effectiveness of dual rudders were mixed: While they produced a faster initial turn when at high speeds, they were regarded as inferior to an equal sized centre-line rudder for sustained turns at lesser speeds. In its November 1942 design (under which HMS Eagle was laid down), the Audacious class was to have hangar accommodation for 69 aircraft of 13ft 6in width, or 57 of 40ft x 18ft. The idea was to have four rows of aircraft running the length of the hangar, instead of the three in the Illustrious and Implacable classes. In addition, a permanent deck park of about 17 extra aircraft could be accommodated under war conditions. A further 1942 revision specified an aircraft complement of 42 Torpedo Bomber Reconnaissance (TBR) aircraft and 36 fighters (FF). An alternative air group was specified as 24 TBR and 54 FF. To support such an enhanced air wing, aviation fuel storage was to be 115,000gall and 7760gall of oil. The RN knew this was hardly enough for intensive operations of more than two days (under wartime conditions this could mean as many as 100 aircraft crammed aboard). But underway replenishment was accepted as a necessary compromise. Continued tinkering with the design during construction after 1945 saw this rise to 165,000gall. This was achieved largely because jet fuel (avtur) had a higher flash point and didn’t need as comprehensive containment measures.